Todo list that is inspired by the priority queue data structure. 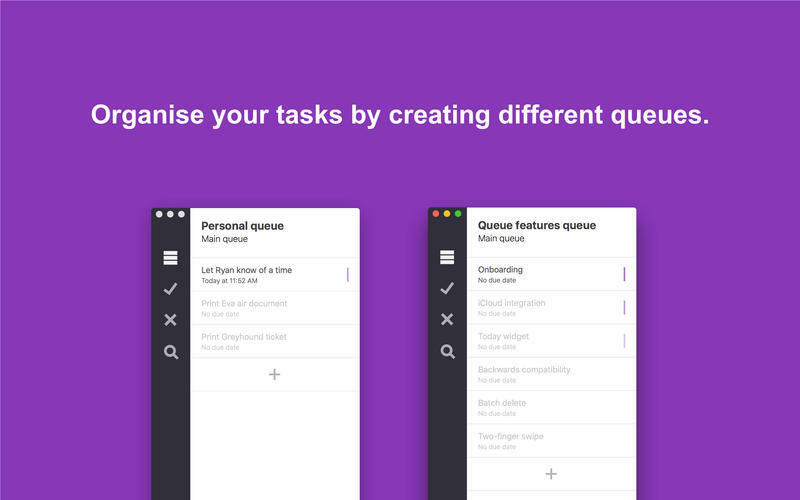 Is there a better alternative to Queue? 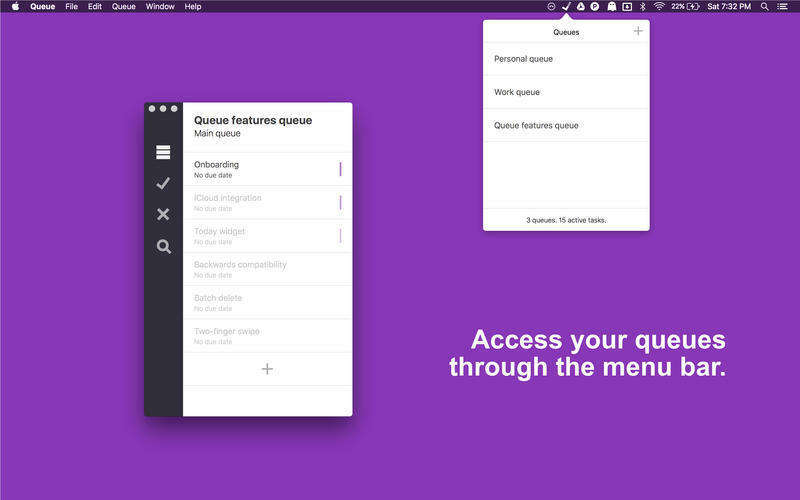 Is Queue really the best app in Productivity category? Will Queue work good on macOS 10.13.4? 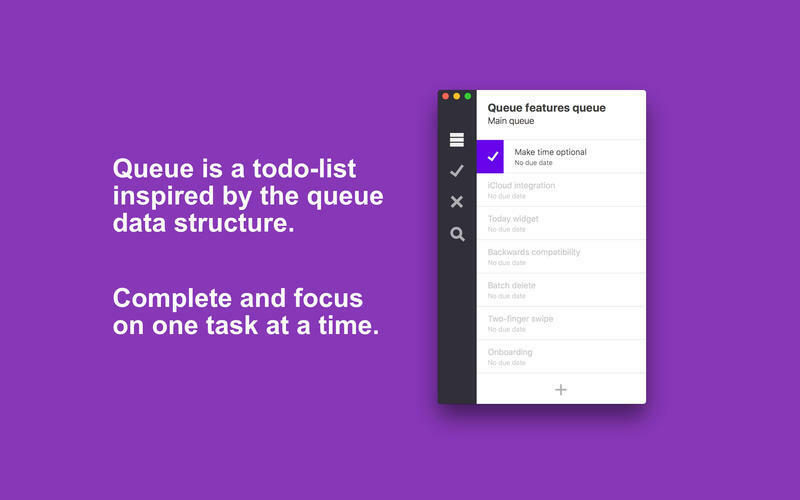 Queue is (yet another) todo list that is inspired by the priority queue data structure. You can only complete one task at a time with the highest priority. Queue needs a review. Be the first to review this app and get the discussion started! Queue needs a rating. Be the first to rate this app and get the discussion started!